It’s July 28th, 2012, and I am leaving Germany and the Netherlands behind for my study abroad in Mexico. I have almost 32 hours and 10.000 km of traveling lying ahead of me. The whole way to Mexico was really exhausting, and I was glad that I wasn’t alone, because I traveled together with two other girls and one guy from the UT. When we arrived at the bus station of Querétaro, we took two cabs which were supposed to bring us to the center where our hotel, where we were planning to stay for the first days, was located. At that time one of the girls and I experienced our first adventure in Mexico because our taxi driver brought us to the wrong address. Suddenly we were in a very unsafe looking area, right next to us some men were in a fight and there was a police car and an ambulance next to them. We were standing in front of a really run-down hostel which had the same name as our hotel we booked, so we went in for the check-in but quickly recognized that this was definitely not the one we booked. Fortunately, our friends from the UT were already searching for us and found us. So we grabbed our bags and left this unsettling place. After 15 minutes walking, we finally arrived at the right hotel. After 32 hours with more or less no sleep this was enough for the first day. The next days we went exploring downtown and met with some of the other internationals. From 1st August until 3rd August we had the orientation days at the Tec where we got our student cards, information about housing possibilities (for the people not living with a host-family), information about living in Querétaro, registered for our courses, got a guided tour around the campus, etc. The experience was already really exciting because everything was new, and I already felt quite comfortable in my new environment. August, 2nd I met my host-family for the first time. I was nervous because I knew that my host-mom cannot speak English, and at that time, I couldn’t speak hardly any Spanish. But she turned out to be an open and friendly person who welcomed me warmly. The first days at my new home, we sat at the table, both of us with a dictionary, trying to build up a conversation. However, after my first classes of Spanish I ambitiously started to try speaking Spanish with her which was difficult in the beginning, though nowadays I can speak Spanish with her almost fluently. My life in this family was always pleasant, we built up a good relationship, and they were always ambitious to teach me their culture and about their country. The Tec organized a lot of excursions especially in the beginning of the semester. It was cool because all the internationals were together, having adventures and parties. We got to see a lot of special and wonderful places. In addition to these excursions, my friends and I also did some on our own. It is really comfortable to travel by bus and still possible to pay for being a student. 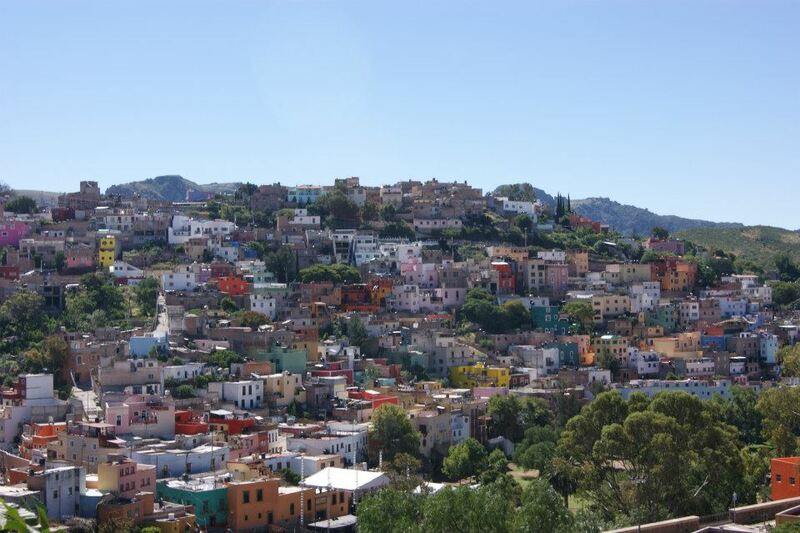 In Mexico there is so much to see and to visit that it is difficult to choose where you want to go next. Therefore, it is definitely not becoming boring around here. One can do something different every day. 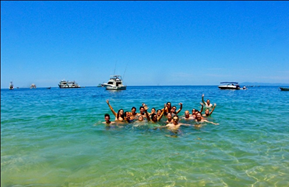 During my semester in Mexico I also experienced a lot of Mexican holidays. For example, the Independence Day, day of the dead, day of the revolution, etc. My favourite celebration day is the day of the dead, November 2nd. It lasts for 3 or 4 days and the people are, compared to Europe, really happy these days and celebrate even more than they do on normal days. 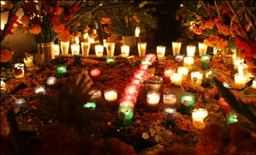 They adorn the graveyards with special yellow flowers and typical Mexican decorations. They have breakfast at the graveyards of their dead relatives or just go to church and pray. Moreover, every family builds an altar in front of their house to honor their dead relatives. It is important to put pictures of the deceased loved one, lots of food, candles, water and wind (shown by really thin paper waving in the wind) and cloths on the altar to offer the dead people everything they need when they are coming back to earth during these days. I went to the state of Michoacán to celebrate the days of the dead. It was one of my best experiences here because it is just overwhelming how everything is decorated and how the people are acting during the days of the dead. I went to an island called Tzin Tzun Tzan which looked like a mountain full of candles in the night. There I visited beautiful decorated graveyards and a wonderful church in which I sat for 20 minutes just enjoying that I was there. Next to the Mexican celebration days I also had the possibility to celebrate a German festival. Here in Querétaro there is a Beer garden, called “Biergarten Eder”. The owner, an Austrian, organized an “Oktoberfest” with German folk music and German food, namely sauerkraut, potatoes, dumplings, pretzels and original German sausages. It was really funny seeing Mexican men in German folklore cloths singing German folk music. The other weird experience I just had yesterday: I was sitting outside at the campus in the sun with 27°C and suddenly a choir started to sing German Christmas songs. You really have to hear it twice to believe it! To sum up, I can just say that, for me, Mexico is joy and happiness, flowers and colors, community and cordiality, sun and warmth. 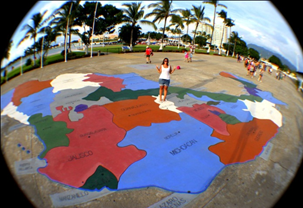 All in all: Mexico is the best decision you can make! Student Julia Diekmann tells about her experiences with the International Business Administration programme.